Corporate Fitness Program - Wellness Matters! Corporate Fitness Program designed by Greg Jasnikowski, owner of Body by Greg Personal Training and Fitness Bootcamp provides a well rounded, easy to implement and cost effective solution to keep employees and organizations fit and healthy. "I have used Greg Jasnikowski to train my employees for the last four years. Every one of them is healthier than before and teamwork has improved as well. I highly recommend this. 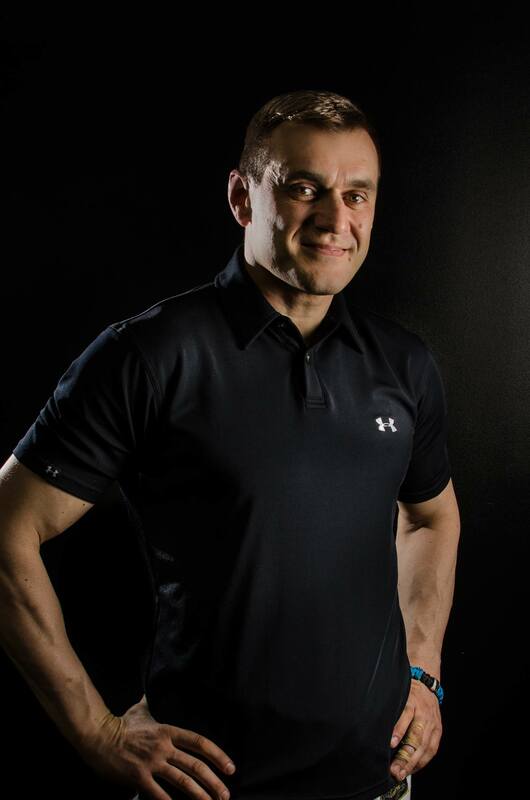 My only regret is that I waited so long to get started"
If your organization is seeking to add a professionally designed corporate fitness program to your existing wellness system contact Greg Jasnikowski to schedule a meeting. Let's meet and discuss your needs, format and implementation of this proven program. 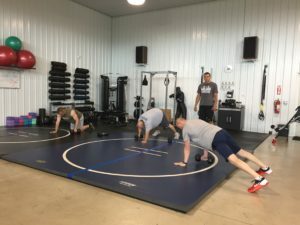 Corporate Fitness Program designed by "Body by Greg" is more than a workout for your employees. It's an education that leaves the long lasting, positive impact on well being of all people involved in the program. The success of any company depends very heavily on the productivity and work performance of its human resources. The ability to function and perform at a high level consistently is greatly aided by Corporate Fitness Program. The introduction of such programs has been successful in that the results are beneficial for both the employee and the company at large. Wellness Programs focus on the physical well being of employees, looking after medical requirements and ensuring personal health is a priority. Programs offer weight loss regimes, smoking cessation programs, stress management and exercise, diet and fitness advice. Here are the top ten reasons why your company needs an ​Corporate Fitness Program. The implementation of Wellness Programs has proven effective in reducing company health care costs. The concept of a Wellness Program was introduced initially for dual purposes. Rising health costs meant employers were looking for a way to minimize the expense whilst maintaining healthy human resources. The inception of Wellness Programs provided an effective solution. Wellness Programs significantly reduce the high company cost of employee health care. Wellness Programs cover a broad range of healthcare initiatives. From nutritional advice to exercise programs and medical cover these programs look after diverse employee needs. The effectiveness of a Wellness Program in terms of the office environment is simple. Employees are healthy therefore on the whole a lot happier; this equates to maximized performance. They are also aware that the company is taking measures to ensure their health and wellbeing this breeds loyalty and responsibility. There are many factors that influence a person’s health and well being. These could be minor infliction such as a cold or flu or major such as heart problems or obesity. Any of these could result in the employee taking time off work. The benefit of a Wellness Program is that this time will be significantly reduced, if not avoided all together. There are many small changes in lifestyle that can influence overall health and wellbeing. A Wellness Program identifies these, educates and implements them. Through education, training and professional health care a Wellness Program can greatly reduce absenteeism. For your company this is the bottom line, reduced absenteeism equals a reduction in costs and an increase in productivity. Employee Wellness Programs have a range of benefits for employers. Both quantifiable figures and intangible results highlight these. For the company as a whole one of the most significant benefits is the reduction in overall company costs. It is hard to quantify what you gain via increased morale, productivity and work performance however the reduced sick leave, absenteeism and lower health costs contribute to a sizable reduction in overall costs. To further explore the cost of implementing a corporate wellness program please click on the link to receive quotes. The main aim of an Employee Wellness Program is to encourage employees to lead healthier lifestyles. This is effected through education, incentives and health care directed by the company and the Wellness Program. It is proven that when an employee is healthy they are more productive. Being healthy increases concentration, energy levels and output. It also ensures you are able to consistently perform at the desired level. Increased productivity in the work place is a by-product of the success of Wellness Programs. An Employee Wellness Program indicates to employees that the company cares about their well being. While it is common knowledge that these programs benefit employers, the benefits are mutual. A well taken care of employee feels an affiliation with the company; they develop a level of responsibility associated with their work. This type of attitude within the work place is invaluable. An employee that feels like the company takes in interest in their wellbeing and health will take an interest in performing to the best of their ability. Employee Wellness Programs cater for all manner of health and lifestyle problems. The aim is to promote healthy lifestyle choices to reduce the amount of medical attention required. Lower medical costs are just the tip of the ice berg. Employees who participate in these programs have noted a substantial improvement in work performance.